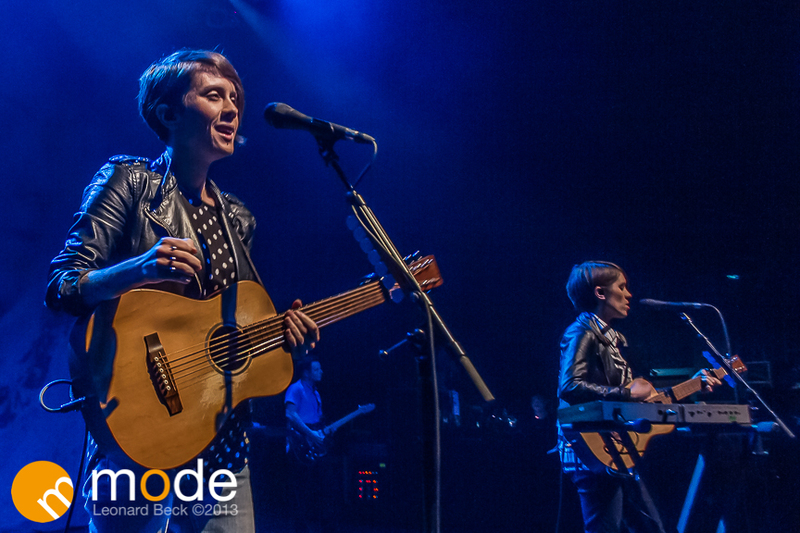 Tegan and Sara performed in Detroit on Dec11th for the 93.9 the River’s Winter Ice Breaker concert. 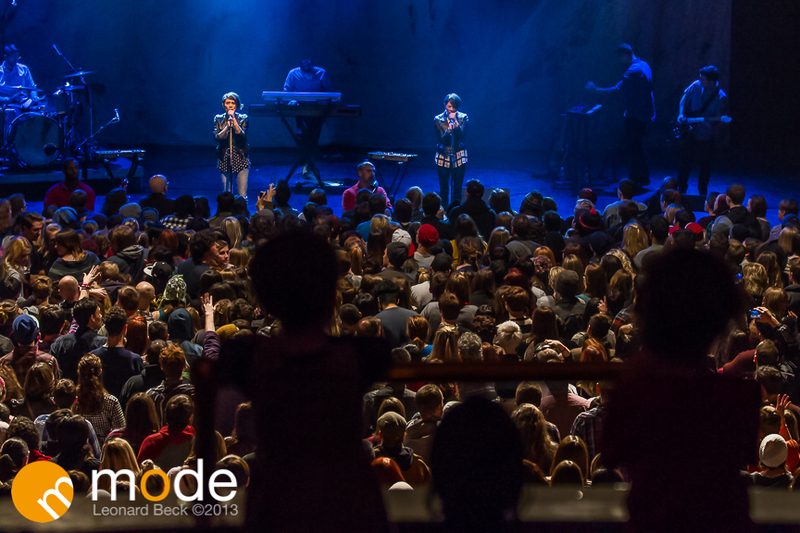 The Fillmore was packed with tons of loyal fans. In the balcony you seen people standing in the seats and isles swaying to the music. Three young kids shadows in the lower balcony’s happily watching the show.